Should you need a Javanese translator, do not hesitate to contact PoliLingua, as they provide the most professional and high-qualityJavanese translation services. Tara Temple is the oldest Buddhism temple in Yogyakarta that was built by Rakai Panangkaran, the king of Syailendra dynasty who also conceptualized the construction of Borobudur Temple. Most people will mention Borobudur when talking about Buddhism temples. Whereas, there are many other Buddhism temples in Yogyakarta; one of them that is closely related to Borobudur is Tara temple. This temple that is located in Kalibening village in Kalasan was built by the same person who conceptualized Borobudur temple, namely Rakai Panangkaran. 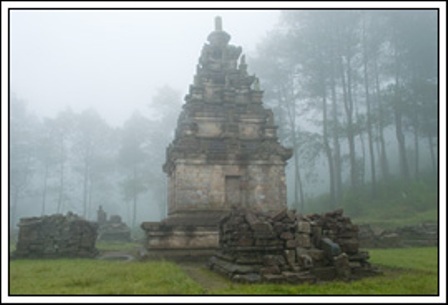 Since it is located in Kalasan area, this temple is popular with the name of Kalasan temple. Completed in 778 AD, Tara temple becomes the oldest Buddhism temple in Yogyakarta. This temple that is situated close to Yogya-Solo Street was a present of the marriage of Pancapana of Sanjaya dynasty to Dyah Pramudya Wardhani of Syailendra dynasty. In addition to a marriage present, the temple was also realization of the kings’ proposal to build another holy temple for goddess Tara and a monastery for the monks. Tara temple is a building in the form of a cube with the size of each side of 45 meters and 34 meters high. Vertically, this temple consists of three parts, namely temple foot, temple body and temple roof. The foot of the temple is a building on square stones and a wide stone. On this part, there is a stair with makara ornament at the end. Meanwhile, around the temple foot there are ornaments of climbing plants that come out from pots. The body of the temple protrudes at the central side. At the outer surface of the temple body, a hollow is ornamented with a standing goddess holding lotus. In southeast part, there is a small room with throne ornamented with the motif of a lion standing on an elephant’s back. The room can be accessed from the other room at the east side. The roof of the temple is octagonal and consists of two stories. An effigy describing Buddha is located in the first story while on the second story there is a statue describing Yani Buddha. 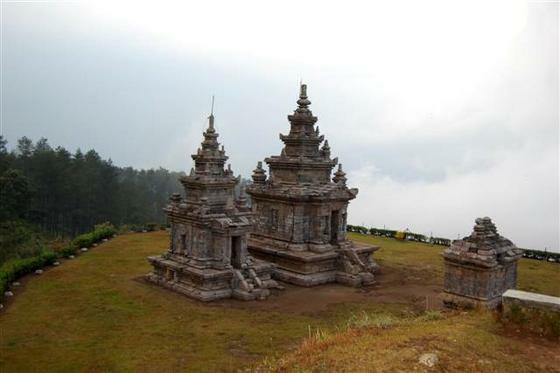 The top of the temple is a square symbolizing Semeru summit with ornaments of domes. At the interface of the temple body and the roof, there is a flower ornament of a dwarf named Gana. If you observe the temple in detail, you will also find beautiful relief on its surface; for example, relief of tree of god and cloud and the dwellers of the heaven producing sounds. The dwellers of the heaven hold rebab (two-stringed music instrument), shell, and camara. There are also ornaments of flowers, leaves and climbing plants. Relief at Tara temple is typical since they are coated with special cement called Brajalepha, made from sap of certain tree. Around the temple, there are 52 domes as high as around 4.6 meters. Even though those domes are not intact anymore, since some parts are missing, you can still enjoy them. Visiting this temple of which construction history is known from Candi inscription in Panagari letters, you will acknowledge the greatness of Rakai Panangkaran who even had the opportunity to build a holy building in Thailand. This temple also proves that in the past there was an effort to unite people of different religions. The proof is that Panangkaran who was a Hindu built the Tara temple in response to the proposal of Buddhism monks to be presented to Pancapana who is also a Buddhist. This temple is also one of the holy buildings that inspired Atisha, a Buddhist from India who once visited Borobodur and spread Buddhism to Tibet. Dieng Plateu, is a marshy plateu that forms the floor of a caldera complex on the Dieng active volcano complex, and is located near Wonosobo, Central Java, Indonesia. 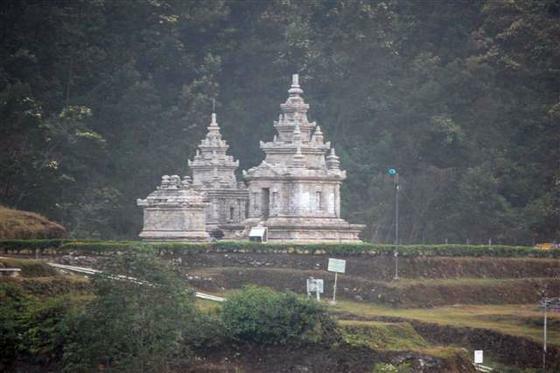 It is the site for eight small Hindu temples from the 7th and 8th centuries, the oldest Hindu temples in Central Java, and the first known standing stone structures in Java. They are originally thought to have numbered 400 but only 8 remain. 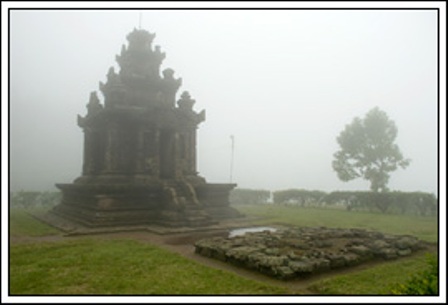 The Dieng structures were small and relatively plain, but stone architecture developed substantially in only a matter of decades resulting in masterpieces such as the Prambanan complex and Borobudur. The earliest architectural usage of the Javanese demonic masks and marine monsters are exhibited along the niches and doorways of the remaining structures. 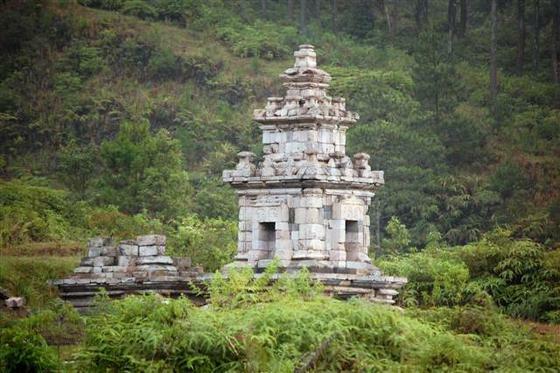 The name “Dieng” comes from Di Hyang which means “Abode of the Gods”. Its misty location almost 2000 m above sea level, and its mists, poisonous effusions and sulphur-coloured lakes make it a particularly auspicious place for religious tribute. The temples are small shrines built as monuments to the god-ancestors and dedicated to Shiva, rather than acting as a convenience to man. Part of General Sudirman‘s guerilla campaign during Indonesian War of Independence took place in the area. 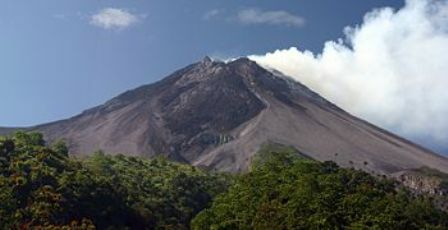 Sundoro is a stratovolcano located close to Sumbing Volcano. 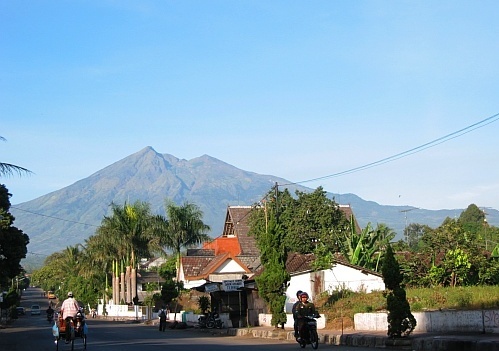 It is one of the most symmetrical volcanoes in Java. Craters at the summit area : Segoro Wedi, Segoro Banjaran, Kawah utara, kawah selatan and Sumur ledakan. Hundreds of hills on the NE side of the mountain are remnants of ancient landslides and lahars. Loosely translated, Gunung Merbabu could mean ‘Mountain of Ash’ from the Indonesian word babu. 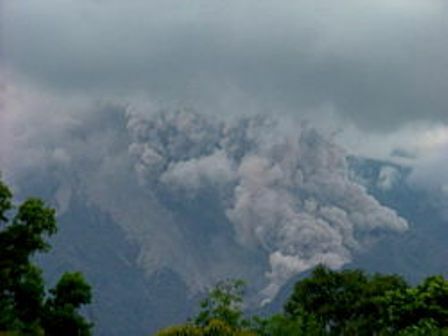 The active volcano Mount Merapi is directly adjacent on its south-east side, while the city of Salatiga is located on its northern foothills. A 1,500m high broad saddle lies between Merbabu and Merapi, the site of the village of Selo and highly fertile farming land. Duration: Two Days & One Night. Pick up in afternoon for driving one and half hours to Ndakan, the last village on slope of Mt.Merbabu. Here our trek began after stopping by in local trakker’s basecamp on the slope of Mt.Merbabu.Then continue the trip by trekking up for 5 – 7 hours to Syarif Peak, the highest peak of Mt.Merbabu. Take break on mid trek way up at 2500 alt before reaching the the highest peak. Mount Merapi (Gunung Merapi, 2911m) is a volcano in Central Java, looming over the cities of Yogyakarta and Solo (Surakarta). A recent eruption in 1994 killed 43 people. Anyone thinking of climbing the mountain must first check if it is safe to do so. While climbing the mountain with a qualified guide is recommended it is not necessary or mandatory (locals will tell you otherwise in the interest of a quick buck) as the track to the summit is wide and clearly marked. Selo is the last village on your way to Merapi. A taxi from Yogyakarta airport to Selo and back will cost you around Rp 1,000,000. Most of the drivers will happily to wait for you while you climb Merapi and will take you back to your hotel. Selo has a group of local guides who will take you to Merapi. Trekking on and around Merapi is a popular activity (at least when the volcano isn’t spewing out hot gas and ash). From Selo, the nearest village on the north slope, it is 3-hour hike to the summit for the fit and healthy. For others it will take 4+ hours to climb, and nearly the same time to get back down again. Carry a small pack with some food, a good flash light, with spare batteries (available for purchase in Selo village), and at least 2 litres of water per person. The track to the top is a reasonable grade and is clearly defined and easy to follow. Once through the tree line the track is less defined and the final climb to the summit (after the memorial plaque) is a very steep scramble over loose and broken rock. While not in itself dangerous, do take your time on the last section. Most climbers start at about 1AM to be sure of reaching the summit by sunrise at 5.30AM. Night climbing is wise in any case, as the upper reaches of the mountain are completely treeless and the sun can fry you to a crisp. The sunrise views across East Java are quite stunning. 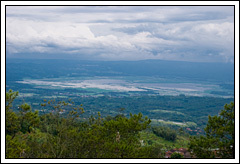 This is a resort on the slope of mount Ungaran, about 900 meters above sea level. 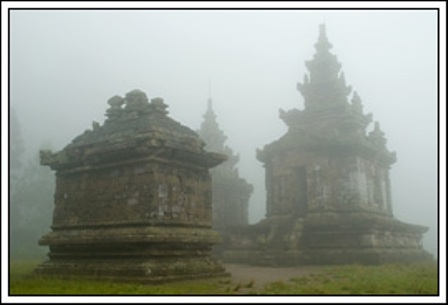 Gedong Songo (nine buildings), a group of small 8th century Hindu Javanese temples, can be reached either by car or on horseback from the town Ambarawa. 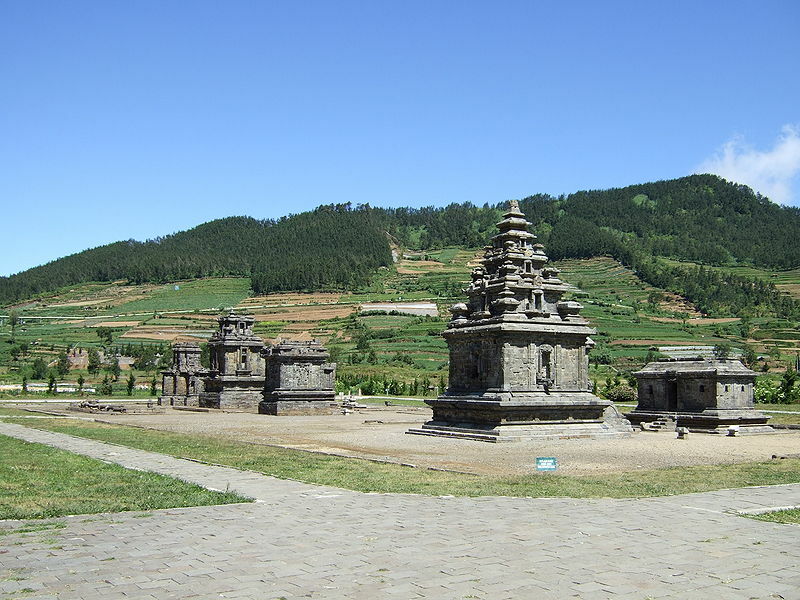 Built at about the same time as the temples of the Dieng complex, Gedong Songo is one of the most beautifully sited temple complexes in Central Java and the views alone are worth the trip. 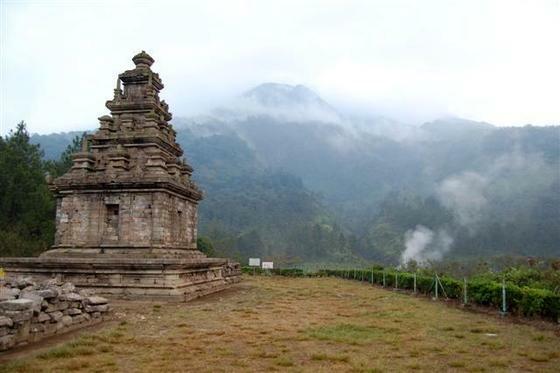 Gedung Songo (‘Nine Buildings’) belong to the earliest antiquities of Java, they follow up the temples on the Dieng Plateau directly, for what about time. They were also built high in the mountains in an area full with volcanic activity; and they were also from Hinduist origin. 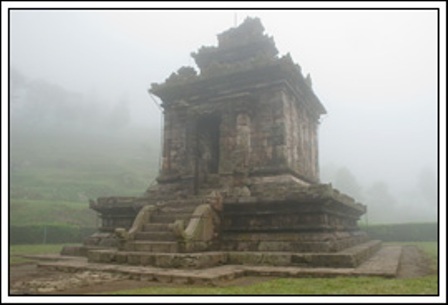 But where the temples on Dieng Plateau are somewhat squeezed into a foggy valley, Gedung Songo are spread over the higher parts of the mountains, which guarantee a splendid view. On clear days, the horizon is one long row of volcanoes, from mount Lawu in the east, towards mount Sumbing, mount Sundoro and Dieng Plateau in the west. The temples were built between 730 and 780, the first temple excepted, which could have been built some 30 years later. Gunung Songo is not the original name and also doesn’t point at the number of structures. The number nine has a special meaning in the Javanese culture, in which there is a strong attachment to numbers. The temples are located at about the same distance from each other (100 meters, 200 meters) on a naturally formed terrace of edge of a mountain. Description : Ramayana Ballet is a beautiful, enchanting and unrivalled performance that could combine the diversity of Javanese arts in forms of dance, drama and music in one stage that at the same time could deliver Ramayana story in four stages: Sinta’s abduction, Anoman’s mission to Alengka, Kumbarkana’s death and the happy ending when Rama meets Sinta again. This show has received the award for making a record of 25 year stripping show from MURI (Indonesia documentary record museum). Description : Dangdut is a very popular music stream in Indonesia that is a mixture of traditional, Arabian, Indian and proto malay. The attractive part is at the entertaining rhytm, beauty of the singers and body movement following the rhytm in particular. Purawisata comes with different Malay music assemble and singer every single day. Description : Wayang kulit (leather puppet) is a magnificent artwork of Javanese art performance that has received acknowledgment from UNESCO. A dalang (wayang player) plays puppet made from buffalo’s leather behind a white screen. Hence, the audience can only see the shadow. That’s exactly the reason why it’s called “wayang” meaning shadow in English. The attractive parts of the show lie on the dynamic movement of dalang at playing different roles of wayang, changing the voice character, his jokes and even his singing. Description : “Wayang Orang” is a Javanese traditional theater combining music, drama and dance. The actors making up themselves as if they’re the real leather puppet played by them. The story at this show taken from Mahabarta or Ramayana story. Description : Ketoprak is a traditional javanese theater performance. Just like wayang orang, Ketoprak comes with a drama inserting a Javanese composition and gamelan music. The critical difference lies on its source of the story where it’s not derived from Mahabarata or Ramayana but it’s derived from legend or other stories. Description : Wayang Golek is a wooden puppet art show which is so popular in West Java. Description : Seeing Javanese philosophy through music. That’s the valuable thing that you’ll experience by watching this cultural performance at this special place. Listening to the gamelan rhytm can be best described as listening to a harmony relaxing your mind and soul. Description : This is a poetry reading performance accompanied by gamelan music. The poetry is presented as if it’s a song that has a specific pattern and composition. There are seven songs in Macapat: Dhandang Gula, Sinom, Asmarandana and Kinanthi. Each song has its total lyrics and sound called guru. Description : Try to walk as if you’re blind by closing your eyes to get into the middle of two banyan tress at southern square of Sultan’s palace. If you’re lucky,you might be able to proceed smoothly. at that process inviting many laughs.